With fleets now having fewer cars for disposal they can hang on longer for a better price. And, being almost spring, prices can only rise for the next few months. That said, as always, there were still bargains to be had. 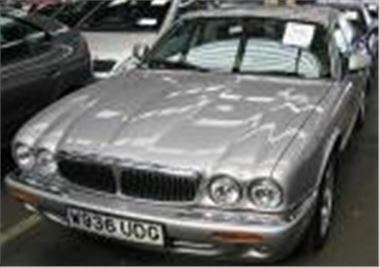 This immaculate 2000W XJ8 3.2 long wheelbase looked like it had spent its 152,000 miles carrying someone who ran their business from the back seat. It still purred like a kitten, yet made just £4,350. An 83k mile 2000W S-Type 3.0V6 manual with leather sold for £4,600.A 101k mile 2002/51 Audi A4 B6 2.0SE sold for £5,200. While over in the Motability section, a 2,198 mile 05 reg Focus 1.6LX automatic estate looked like value at £9,000. Here’s the list. ‘s’ means sold. ‘p’ means provisional. Fleet & Finance, Bank of Scotland, Porsche p/x, Lex Vehicle Leasing, Lex HBSC, Franchised Dealer, Inchcape No Reserve p/x, Reg Vardy p/x, West London Nissan p/x, Hartwells p/x, Pendragon p/x. Fleet & Finance, Alphabet GB, Leaseplan, Lex Vehicle Leasing, Lex HBSC, Jardine p/x, Sytner p/x, Black Horse, General, Inchcape p/x, Snows Group p/x, Trident Honda p/x, Pentagon p/x. Top Car, Black Horse top cars, Porsche Retail p/x, Fleet & Finance, Lex Vehicle Leasing, Lex HSBC, Inchcape no reserve p/x, Reg Vardy p/x, Hartwell p/x, Pendragon p/x, Franchised Dealer p/x, Hartwells p/x, Pendragon p/x, Franchised Dealer p/x, West London Nissan p/x. Fleet & Finance, Hitachi Finance, Renault Financial Services, Lex Vehicle Leasing, Lex HSBC, Citroen UK, Leaseplan, Sytner p/x, Black Horse, Jardine p/x, Inchcape p/x, Ridgeway Group p/x, Snows Group p/x, Pentagon p/x. Fleet & Finance, Leaseplan, Lex Vehicle Leasing, Lex HBSC, Jardine p/x, Sytner p/x, Black Horse, General Section, Inchcape p/x, Snows Group p/x, Trident Honda p/x, Pentagon p/x.